The number 9 has always been my lucky/unlucky number. Maybe I’m just thinking too much into it, but I’ve noticed that through the years, things happen on the 9th. Doesn’t help that I’m the 9th kid in the family either. Travel-wise things have been really great for me this year. I’ve been to a lot of places and traveled more than I ever had in the past years. When this year started, I said I do not have major plans for travel, except for a couple of trips. Much to my surprise, I ended up taking trips I never really planned for (a month’s headstart is considered not planned for!). While going through some past entries, I came upon a list I made back in 2007: 10 Places I want to visit in the next two years. I have totally forgotten writing this year and reading it again, I was so proud of myself for taking out 7 out of 10 places. Six of those places were also visited just this year. My year-end post for 2009 will be a recap of that list from two years ago. Palawan. Our trip to Coron was one of the highlights of 2008. That was my first and (so far) only visit to Palawan. I was supposed to go to Puerto Princessa in November 2008, but I had to back out because my ears were still hurting from our trip to Batanes earlier that same week. Mindanao. I made my first trip to the Philippines’ second biggest island group last August 2008 for the Kadayawan festival in Davao. 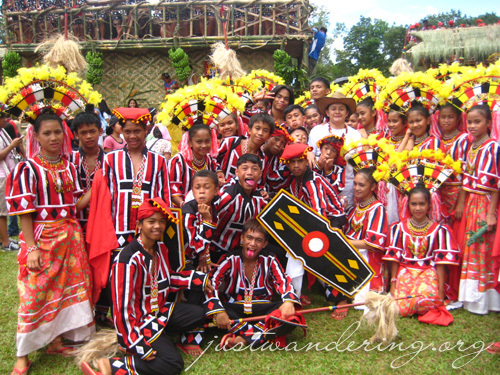 This year, I went to Cagayan de Oro and Bukidnon for the Kaamulan festival. There are still plenty of places to explore in Mindanao, and I’m definitely going back in 2010. Boracay. No matter how commercialize Boracay has become, I will always go back. My first visit to this gorgeous beach was 2005 with my closest friends and memories of that two-week holiday in the island still linger. 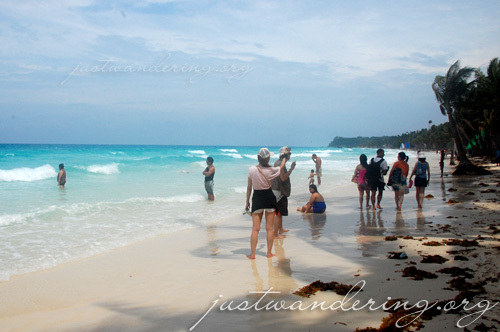 I went to Boracay twice this year: first in January after going to the Ati-atihan festival, and second in September to see what the off-peak season is like in Boracay (very very windy). Camarines Sur. Eight hours away by bus and I still wasn’t able to go. Camarines sur was far from my mind this year, but I’m already making plans for next year! Sydney. I haven’t been back to Australia since I got home in 2007, and I’ve no plans to go back anytime soon. Maybe 2011. Australia Open, yes? Malaysia. I finally made it back to Malaysia after 9 years. Never in a million years did I imagine that I would go to Malaysia four times in one year. And all those visits were during the second half of the year too. I wasn’t able to go to Langkawi, nor Kuching, but I did make it to two of Malaysia’s UNESCO World Heritage Cities: Penang and Malacca. I was also able to go to Pulau Perhentian Besar on the eastern coast last June. The biggest surprise of all was getting an invitation from the Manila office of Tourism Malaysia for a Mega Familiarization Tour of Kuala Lumpur during Merdeka. 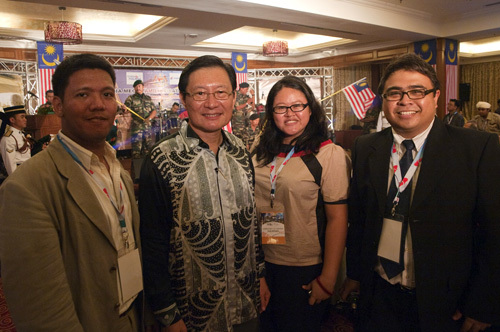 And it seems I can’t get enough of Malaysia: I’m going back again next year. Not once, but twice! Hong Kong. Finally made it to Hong Kong! It was one of those impulsive decisions, and I was glad I bought those tickets. It was also my first time to CouchSurf, and ended up hiking up Hong Kong’s hills instead of shopping. Who’d have thought? Cambodia. Ah, Cambodia. 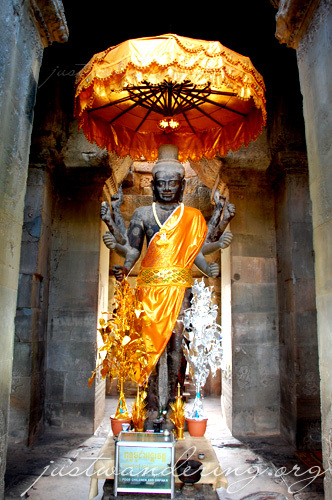 When I started planning for my trip back in 2006, I always come across Cambodia, specifically the Angkor Wat in the travel forums and travel blogs that I read. It got me interested about traveling there, but for the wrong reason: everybody’s going there. It’s like since everybody’s going, I might as well go because I wouldn’t feel like I’ve traveled in Southeast Asia if I haven’t seen the Angkor Wat. I was all set to be underwhelmed as the tuktuk entered the gates of the Angkor Heritage Park, but there was something about the Angkor Wat that blew me away. I can still remember that indescribable feeling as I walk across the bridge, not minding my wet feet. I’m looking forward to feeling that again when I go back to Siem Reap next year. Germany. This is one big fail, specially since my main reason for wanting to go there was to visit Cat. She and her family have already moved back to the United States, so I guess Germany will still be in my list in the next two years. As I said, 2009 have been a great year for travel. On the other had though, this year also brought about so much tragedy in the Philippines (and an impending one, when the Mayon Volcano erupts). Hopefully, 2010 would be much better. With even more traveling, perhaps? yay! thanks for being part of my 2009 in events, etc as well! one of the best travel blogger. kahanga hanga yung ginawa mong southeast asia series! happy new year Nina! have a prosperous new year! cheers! Outstanding travel year! Knocking off seven out of ten “must visit” places in two years, six of ’em in 2009? Wow! And at this rate, you’re going to have to apply for a Malaysian passport, seeing as how you practically live there! I hope more travel… and more money… follow you throughout 2010! Thanks for letting us tag along for the ride! Errrr…. 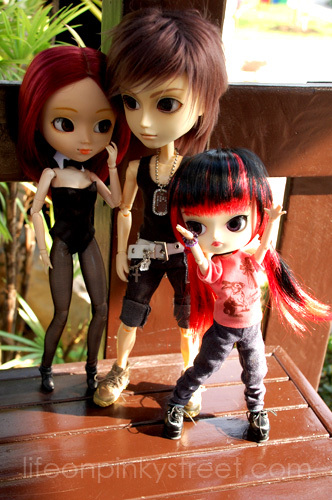 unless I am mistaken, NONE of the dollies in the photo with the “LifeOnPinkyStreet” watermark are actually, you know, PINKY STREET DOLLS! Erick: Kulang pa! Dami pang di napupuntahan! Yup, definitely hoping for more travel for all of us in 2010! Happy New Year, Nina! It sounds like you had a fantastic year. Hi Nina! Happy New Year!!! More more more travels in 2010! Cheers! hope to see you soon… cheers! wishing you more travels to come this 2010! A mighty big kudos to you on the M’sia invite! Here’s to making 2010 an even bigger year for travel! Cheers! Haha! I agree with Dom! One of the best travel blogger sa Pinas and it shows sa 2009. More travels in 2010. Happy New Year! Dementedchris: I-tour mo ko ng hacienda? I’m definitely taking you up on that offer! magnetic_rose: More raket para more tennis, more shopping and more travel in 2010! flip: More travel for all of us! Anna D: I’m going in Feb, wanna join? Ferdz: Wow, sobrang flattered naman ako dun! Thanks so much, and it was great to have traveled with you in 2009! Cheers on your travel accomplishments – great read on your backpacking trip around Southeast Asia. May your star lead you to more trips in 2010 and beyond. Happy new year! Happy, happy, happy New Year, Nina dear! Hope I can join you on one of your travels in 2010. Maybe Tagaytay. grabe nina, hands down talaga ko sa dami ng travels mo esp. this year. Yes, more travels pa this 2010 (para more tips to us readers LOL) And thanks for being part of my 2010–helping me out on that crazy ticket stuff. I wish you more travels for 2010, Nina Looking forward to more of your travel accounts on the road. I love following your travels and I’d have to say one of my favorites of yours was your trip to Malaysia. It just seemed so adventurous and colorful (esp. the architecture). Oh, and let’s not forget all the food pics you’ve been making me hungry with. I expect to see more in 2010, right? Wow, that’s a long list! Reminds me that travelling doesn’t have to be to other countries. I’ve not yet been to Edinburgh! I really should recitify it. Great recap, beautiful photos I really should make a point to visit the different places in the Philippines more and not just home turf. I really want to climb Mt Banahaw this year! Happy 2010 Nina. Glad you achieved 6/10 trips. And Im sure you now have a longer list of your dream destinations. Good luck! a toast to more fun and adventure this year, happy new year nina! cheers!